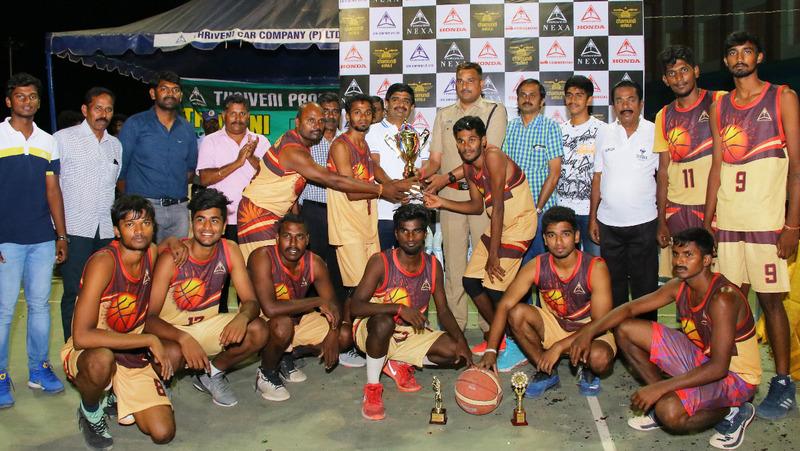 TEMPL Basket Ball Team Champions in the 1st ” THRIVENI TROPHY ” District level Basket Ball Tournament which was organized by TEMPL, Salem project on 06.04.2018 to 8.04.2018 at Mahatma Gandhi Stadium , Salem . Mr. Thangadurai (DCP-Traffic & Transport) & Thriveni’s Executive Director Shri.B. Karthikeyan presented the prizes for the following winning teams.